← Can AAWA Make It Happen? As of Monday July 1, 2013 AAWA is introducing a new online support forum. The Forum will focus on recovery issues of Jehovah’s Witnesses who have already left or are considering leaving the organization. Moderators and active members will also respond to those looking for answers to their questions but feel they have no safe place to ask them. Since we launched AAWA in April we have been giving our best efforts on our Facebook group pages that provide support to those who requesting our help. We’ve had a great start, but we soon realized the limitations of Facebook. Security on Facebook has been an issue since our first week online, forcing us to place our Support Group on a “secret” status which limited its visibility to the public. We also realized that the format of Facebook allows valuable information from prior discussion threads to disappear from view as they scroll down and off the page. For those two reasons – and other issues – we feel that Facebook does not work as well for us as we had hoped. After much discussion and planning, we have chosen to open a new discussion forum as part of AAWA.co that is designed to meet our specific needs. This new forum offers desirable features unavailable on Facebook and will be accessible to anyone registered as a subscriber on our AAWA.co website. Please Note: Only registered members of AAWA.co can access the Forum. It only takes a moment to register as a subscriber. Those who are already registered must login before going to the Forum. Registration and Login is located in the right-hand sidebars. The Forum has open groups that allow for public discussion. On the other hand, several discussion areas are closed and invisible except to those gaining admittance by invitation or special request. Areas falling in that category include For Teens, Child Abuse, and Spousal Abuse. We’ll keep these separate to allow for discussion of issues that require more security. Other groups in that category include GLBT and Unbelieving Mates (for relationships where only one person is a Witness). There is also a section Just for JWs set aside just for current Jehovah’s Witnesses who need a safe place to ask questions or get support while they are trying to leave. Please note: For legal reasons teens will not be allowed in the open forum. It is our desire that the AAWA Discussion Forum be a special place set aside for support, healing and recovery. We ask you to cooperate and help us stay focused as we assist you and others to find ways to help yourself. AAWA’s commitment to religious neutrality remains the same in the forum. There are many other websites, blogs and forums where you are allowed to discuss and debate religious beliefs, but AAWA is not one of them. We hope you will support our policy to keep the forum free of doctrinal discussions, evangelism, or debate about what Jehovah’s Witnesses (or any other religious faiths) believe. We need to focus on how they treat people and how they are able to inflict harm psychologically, physically and even spiritually on their followers. The Watchtower Society has a weekly “ministry school” which supposedly teaches Witnesses how to communicate with people while preaching door-to-door. The truth is that most Jehovah’s Witnesses have very poor communication skills. They have been taught how to present their beliefs and how to reject people’s comments. They have been taught to carry on a monologue where their sole purpose is not to discuss Bible truths but to sell a product. Because of that fact, we have set aside an entire section that will be devoted to improving communication skills. Some of us might learn what it means to have a “discussion” which actually includes the other person. In my own experience, I know I learned far more at college about communication skills than I ever learned in a Kingdom hall. The section on “mind control” will expose and discuss the various methods the Watchtower Society has used to manipulate, isolate and control people. Even after we leave the Witnesses, and even if we accept that Watchtower “truth” was all a lie, for many years later we may still occasionally slip into using JW style “loaded language.” One of our goals for the new Forum is that you will learn to identify and stop using those words and phrases. We’ve also created a section devoted to coping skills. For some Witnesses the shock of being disfellowshipped, along with the loss of their family and friends, creates a need for a lot of support and information. We know that many JWs who have straddled the fence and had a foot in both worlds often find their losses still hurt. We hope to provide the tools to help you in our Coping Skills section. 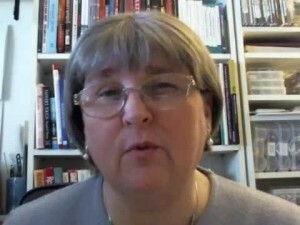 Living in a cult or high control group has a serious impact on a person. We need to address those issues. Many of them are hard to spot. Some are a direct result of abuse by Witness parents or other JWs. Pretending they don’t exist or denying their impact won’t help anyone. In the long run most of the unhealthy ways we learned to protect ourselves won’t work in the real world. Their effects will certainly cause damage to potentially healthy relationships we might have. Like most high control groups or cults, the Watchtower Society is overly focused on sexual matters. This is another policy that has damaged many Witnesses and their relationships. We need discuss that damage and confusion in a way that not only helps us recognize the problems, but also provides the support we need to gain a healthier perspective of sexual matters. We ask you to respect the fact that this is a sensitive issue requiring extra levels of tact and sensitivity. One section of the Forum that I am most pleased to announce is Personal Stories. I have been on discussion boards where my own story has been told in bits and pieces and scattered everywhere. Looking for all of them can be tedious because so many were buried within topic threads written by and about other people. Personal Stories are designed to be about and for you. It is one place where you can tell your story and then add to it later as you have the need or the time. People can also respond and post comments to your personal story. If you write something on someone else’s story, and then later really want to add to your own story, just copy and paste it directly within your post. This approach has some definite advantages. For those who might want to write a book someday, this is a great way to keep all of your drafted pieces in one place. You can even ask for feedback and support as your story unfolds. If your story is too personal, or might reveal a detailed history of abuse – but you still feel the need to discuss what happened to you – we are also providing a “private” Personal Story section. There is also a Forum Announcements section. It is currently located at top of the Forum. Please read it. We are always open to constructive suggestions for improvement. Our Webmaster promises to install upgrades and improvements as they become available. The main board has a list of all the Support Team members. If you want to contact us, please leave a message in the Notify the Support Team section of the board. And yes, most of can all still be reached on Facebook by Private Message. Our purpose and goal is to be here to help, support and listen to those looking for help. We hope that as we help guide you to freedom from the past, that you will eventually be able to help others as well. I am looking forward to meeting you there. Share this with your friends on Twitter. Thank you Lee, and you others who helped! This couldn’t have come too soon! So if one of us strays too close into doctrinal territory on the AAWA Facebook pages; How will we be redirected to this forum? And, some of us know JWs or DFed and DAed JWs who we’d like to discreetly show that there is a place they can fiind help, how do we do that please? They will not have to go through Facebook at all. They go to http://www.aawa.co and register. Then login and click on the link to get into the forum. 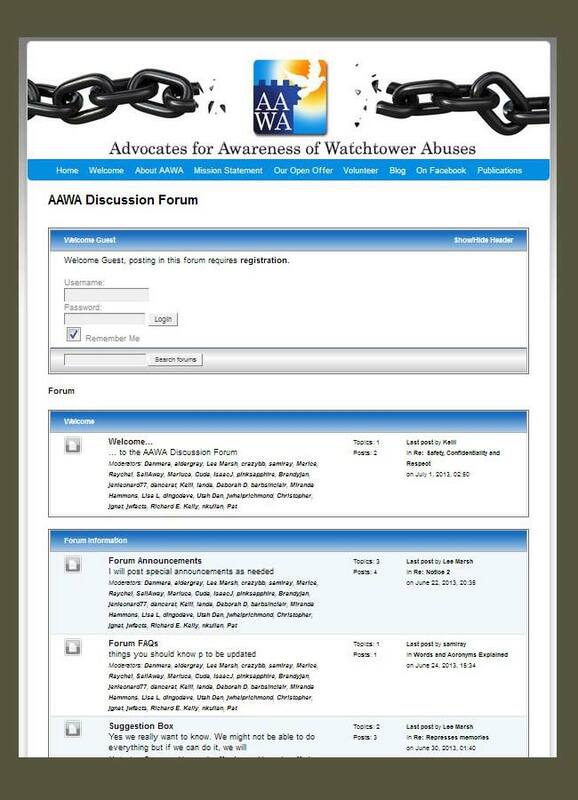 This is still an AAWA forum and debating doctrinal issues will be closed down. We remain religiously neutral. Our focus remains not on beliefs but in the practices and how they hurt people. 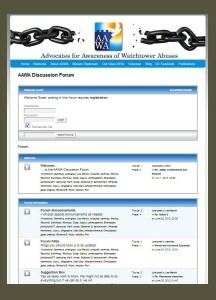 There is a forum for active JWs who might prefer a closed forum so that is available but they will have to ask me. Give them this email address. Lee, this next is for AFTER your nap! Say, I am a JW in name. Say I want to reach out to offer AAWA’s help to people I know who have been DFed and DAed. But I have to be cautious how I do that because they could expose me somehow. How might I give them these links to AAWA’s publications? You could ask someone else to send them for you. This is wonderful! You’ve clearly all worked so hard to get this off the ground and it shows. I for one am proud to be in at the beginning of something that will develop into a very special place. Thank you Claire. I feel so good about what AAWA is doing and its potential. I work with great people and have a great team working with me. Let’s see where we go from here. Hi Lee, I would like to be of assistance to anyone from New Zealand who might want some support. I think it’s an especially good idea to appeal to teenage JWs, because communicating online is so normal for them. I filled out a volunteer form when AAWA first started, but didn’t hear anything back.